William Grant & Sons, the distiller of premium brands including Glenfiddich, Monkey Shoulder and Hendricks Gin, has launched Grant’s Distinction, the latest variant of its leading Blended Scotch whisky brand, ahead of the festive season in India. The new variant has been launched in Goa with an MRP of 1275 INR, in advance of a nationwide rollout. 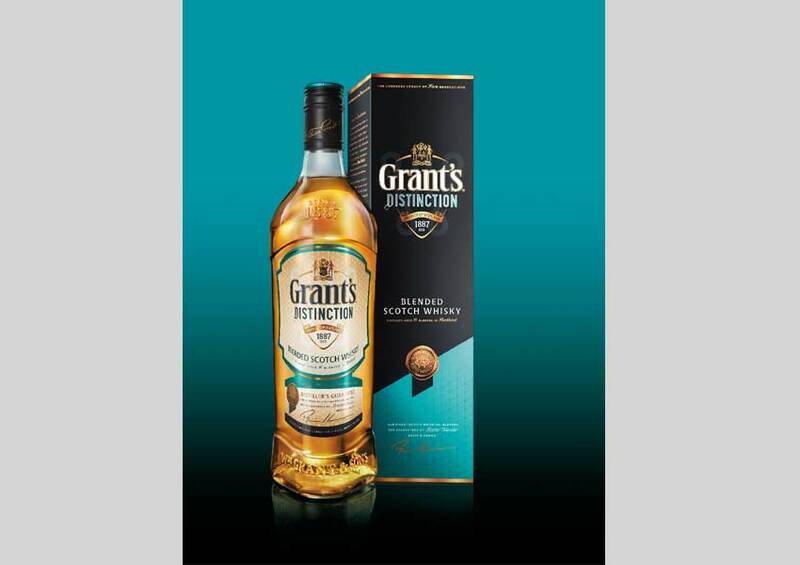 Grant’s Distinction is a blended Scotch that has been hand-picked for smoothness by master blender Brian Kinsman himself, to appeal to a new generation of Scotch whisky drinkers. Grant’s Distinction will initially be exclusively available in India. The blended Scotch has been designed for mixing, and has a raisin cake richness that gives it a distinctive character to cut through any mixer. The uniqueness of the blend’s taste and mixability is an ingredient that comes from a distillery with teal coloured walls – the malt from this distillery is at the heart of the blend. Star Gold fans enjoy #DinnerWithDeols this Diwali!